RAM Spreaders’ announces major new orders at DPW London Gateway and Jebel Ali Phase three of its innovative “SingFlex” tandem 40 headblock and spreaders. In the UK, world leader in technology DPW London Gateway Container Terminal located on the north bank of the River Thames in London have purchased 8 units of RAM Spreaders ‘SingFlex‘ tendem headblocks and 18 units of RAM ‘CentreSpread’ twinlift ship to shore crane spreaders. The spreaders are fitted with RAM’s innovative ‘ShockAbsorbTM ‘ for noise and impact supression. 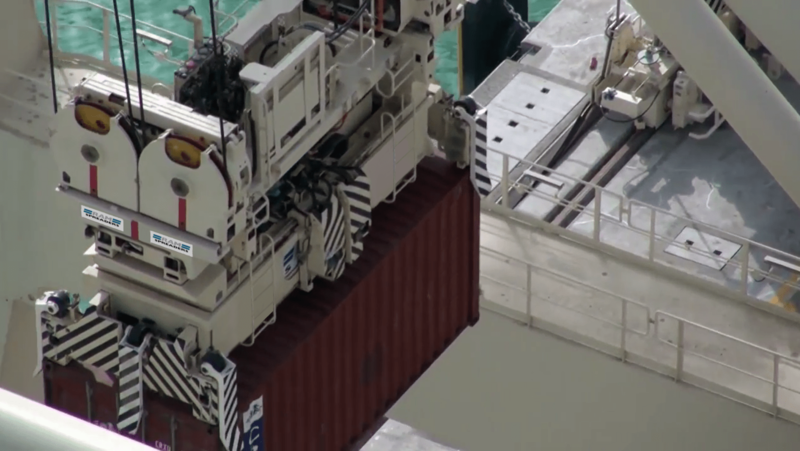 Whilst in the Middle East, to support the growing trade in Dubai, Phase III of Jebel Ali is set to be the most technologically advanced terminals of its generation, DPW has ordered 19 units of the ‘SingFlex’ tandem headblock and 40 units of RAM ‘CentreSpread’ twinlift ship to shore crane spreaders. At the quay side DPW have ordered 50 units of Automated rail mounted gantry cranes with RAM Model 3970 ‘All-Electric’ ‘CentreSpread’ telescopic spreaders. Hi-torque electric flippers fitted to the spreaders simulate the mechanical simplicity and benefits of flippers without the use of hydraulic power. Supporting this major order and the growing fleet of spreaders in the Middle East, RAM has appointed a Regional Technical Manager who will be based at a new office in the Jebel Ali Free Zone. The decision to appoint a Regional Technical Manager in Jebel Ali, RAM’s CEO Philip Lee explains “was to serve as a support to both Jebel Ali and the large number of spreaders we currently have in Oman, Yemen, Saudi, Qatar, Kuwait and Egypt“. In addition to a new Technical manager RAM has signed an agreement with World Crane Services (WCS) based in Jebil Ali to stock and distribute spare parts to Jebil Ali and other regional customers. Philip also added “it is important to support the needs of our clients, including the Middle East so we decided to provide a central office to offer help, support and to hold an extensive stock of parts to help reduce lead times“. “As spreaders are becoming more technically advanced it is important to have spare parts stocks on hand to provide a fast response time to local clients. A large stock holding in Dubai allows fast response to the spare parts needs in UAE and our regional clients“, Philip explains. In a long tradition RAM has appointed William Job, an electrical engineer with over 10 years of port experience to provide customers with support in the region. Excited with the new challenge William is looking forward to working with regional RAM customers to ensure spreaders maintain a high level of reliability. After more than 10 years of development of the ‘SingFlex’ headblock, RAM are looking forward to continued success with more ports choosing the RAM ‘SingFlex’ to handle tandem and quad lifts. Since the company’s earliest designs saw the light of day almost 40 years ago in England, RAM Spreaders has grown to become the world’s clear No2 in container handling spreaders and the No1 independent supplier. Now part of NSL Engineering Pte Ltd, a major industrial group with construction, chemical, property, technology and investment interests, RAM Spreaders has manufacturing and development facilities in Singapore, a manufacturing plant in China and an assembly and servicing facility in Lancashire, England. Recent developments include the new All-electric separating twinlift design, and a telescopic spreader designed for mobile harbour cranes. These new series join the existing RAM range of telescopic, fixed and separating twinlift spreaders, offering the finest choice for Ship-to-Shore Cranes, RTGs/RMGs, Mobile Harbour Cranes and Fork Lifts.